Children's earrings represent a beautiful gift for a little girl. The first earrings often become a jewel that is protected with love until it is passed by your girl to her beloved children. 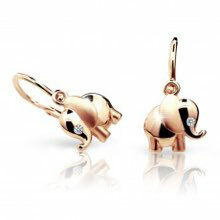 Beautiful children's earrings of very good quality in various shapes and types of fastening at very reasonable prices. Our designers created jewellery that will underlines your little princess's uniqueness. Thanks to their original processing, she will cherish them with love for a lifetime. Give your little girl a gift that inspires. With our earrings she will feel like a real lady. Each time she puts them on, she will also think of the person who gave them to her. Get inspired by others and see their recent creations in our online configurator. Try it for yourself, it’s comfortable and fun. 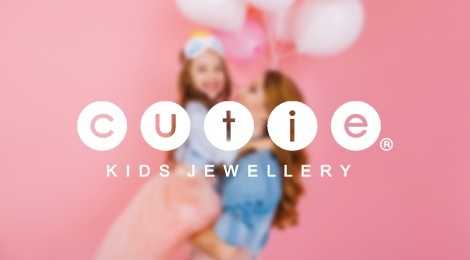 The garden is coming to life and little girls are decorating butterflies, ladybugs, flowers, and also hearts and stars from the new collection Cutie Kids Jewellery. 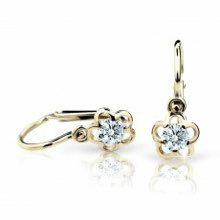 Thanks to the unique design and attention to detail, we guarantee that your little girl would not want to take the earrings off. We pride ourselves on the fact that our jewellery combines the highest quality and tradition with a unique design. We cooperate with top jewelers and designers on the look of the jewels. The collection of original earrings Cutie currently consists of over 100 models, and the number is constantly increasing. Our goal is to fill children's eyes with joy.